Everyone loves to go down to the beach. Neptune Beach in Florida is a known vacation spot where you can enjoy the sun, sand, and simple pleasures. The water and the waves are so relaxing; it is no wonder that many people want a vacation home or their full-time residence in the area. Unfortunately, with the amazing view come a few downsides. Florida is known for their storms and hectic weather. Residents may buy a home on the beach, and then begin to regret it with the first harsh storm that blows through. What should homeowners know about buying a home near the water in Florida? When you are living in Neptune Beach, or along any other beach in Florida, you must have a more hands-on approach to keeping your home looking nice. Inland homes can use any paint they desire. Living on the beach though opens you up to moisture issues and in turn mold and mildew patches. Having your home power washed every quarter is a great idea to wash away mold that may be building up. The roof, under eaves, and corner areas are also prone to mold and mildew. This can erode paint and break down your roof if the proper steps are not taken. 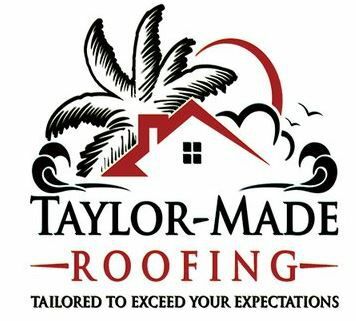 If you are in the Neptune Beach Florida area, contact a good roofer at Taylor Made Roofing www.taylormaderoofing.com to get it right. They have seen it all and are located right there among all the beachside communities. Their expert opinion is invaluable when it comes to using the right paint and roofing materials to withstand being next to the ocean. A homeowner in Neptune Beach recently asked the question if a roofing company should install a metal roof on their home because they were nervous about rust and corrosion from the salt coming in off the ocean. Today’s quality residential and commercial metal roofs are made from corrosion resistant metals and they also come with special coatings that allow for additional resistance as well. A homeowner can now pick whatever roof they think will look best without having to worry. That being said though, you should still contact a professional that has been in the area for a good amount of time that has seen how the different products will stand up over a long period of time. Some products will carry longer warranties for salt climates. Aluminum, copper, and zinc are all metals that can withstand the environment by the beach. Aluminum offers improved resistance to corrosion but has more thermal movement. Zinc has a better track record for thermal movement but can trap moisture on the underside if a protective coating is not applied by a professional. As we can see, with advances in technology, the homeowner by the beach can use a wide variety of roofing materials without worry. Their exterior paint and metal components can also be designed to keep a great looking outside for the home. You can contact the experts at www.taylormadedesigns.com and they will walk you through the pros as well as the cons for each type of roofing material offered.